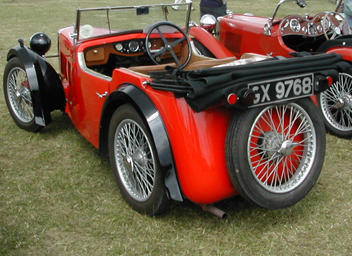 The 'D' type Midget was introduced in 1931, alongside the 'F' type Magna, as a four-seater to complement the original 'M' type which continued in production. 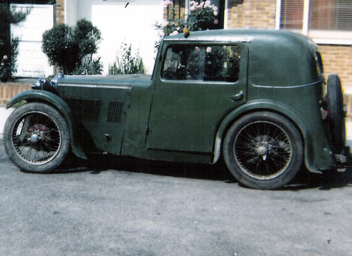 It had the same engine as the 'M' type, but it inherited the lower chassis of the 'C' type racing car. This gave it a longer wheelbase than the 'M' type and it was referred to as the 'long chassis' Midget. In production, the wheelbase grew a further 2 inches. 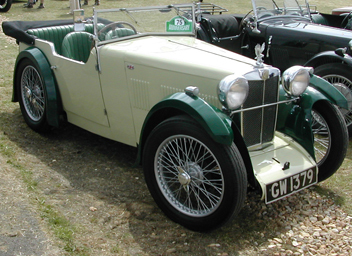 Although 'bespoke' bodies were available, as with the 'F' type, the 'D' type was mainly supplied with the same Tourer and Salonette bodies as the 'F' type, but was never given the 2-seater 'sports' body. It was phased out, like the 'M' type, when the 'J' type was introduced in 1932.